On Friday 18 May 2018, Toyah’s 60th Birthday a new digital EP will be released on iTunes, Spotify, Amazon et al. 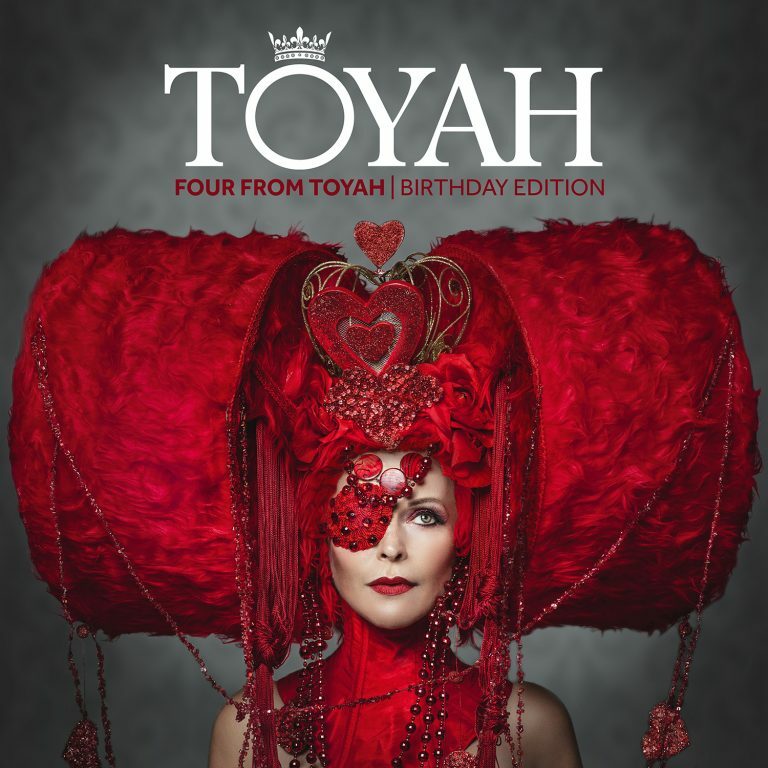 Four From Toyah | Birthday Edition includes four new and previously unreleased songs written by Toyah and Simon Darlow. The EP marks the first release of new Toyah solo material since 2011. The EP begins with the rousing lead track Telepathic Lover. Two tracks heard in the Crime & Punishment production at London’s Scoop Theatre also feature, Who Let The Beast Out and Fire Escape. The EP is rounded off with the stirring and beautiful Our Hearts Still Beat, written specially for the end titles of the film In Extremis. All tracks produced by Simon Darlow. The EP will be available to download from iTunes, Amazon, HMV amongst others and to stream from Spotify, Amazon, Tidal and other streaming services. Preview the lead track below.